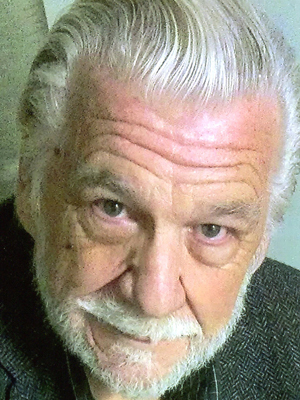 Richard Berko, of Prior Lake, passed away March 18, 2019 at the age of 74. A Gathering of Family & Friends will be held on Friday, March 29, 2019 from 4:00 – 6:00 PM with a Celebration of Life Service at 6:00 PM at the Horse & Hunt Club in Prior Lake. Jean Breeggemann will preside. On February 10, 1945, Richard Michael Berko was born to parents Michael & Anna (Pricz) Berko. Richard loved growing up in New Jersey. He was a mischievous boy and loved playing with his brother and cousin. One of Rich’s fondest childhood memories was when he and his brother built a dune buggy. After Rich completed high school, he joined the Reserves. Although he was never called up into active duty, Rich proudly served his country for six years. During this time, Rich also put his welding talents to good use. He learned to weld at a young age and immediately knew that he wanted to make a career out of it. Rich began his career at Union Carbide. He then moved to Linde in 1967. He worked at the Linde Research and Development Laboratories on the development of welding and gas processes. Linde later became L-Tec, then Airco and finally Esab. Richard was a territory sales manager and helped these companies with machine engineering. It was his work that brought him to Minnesota. He settled in Prior Lake, and he loved raising his boys by the water. Rich’s two boys, Mike & Adam, were the biggest joy in his life. He loved his boys so much and was so proud of them. As a family, they spent a lot of time boating and just spending time together as a family. Later in life, Rich had a career change. He became an instructor at Dunwoody Institute. He taught welding and fabrication. He loved the work and all the students he met along the way. When Rich wasn’t working, he loved tinkering out in the garage. He was always building or inventing something. He was so generous and was always there to lend a helping hand for a neighbor in need. Although Rich had many hobbies, his biggest passion in life was family. He loved being with his sons, grandkids and girlfriend, Sandy. Rich and Sandy shared a great life together and had many wonderful adventures. Rich was truly a great man. He was brilliant, caring and loved his family unconditionally. Rich will be deeply missed and remembered always by his sons, Mike (Jenny) Berko & Adam Berko; grandkids, Logan & Lyla Berko; girlfriend, Sandy Hepp; brother, Steve (Karen) Berko; cousin, Pete (Terri) Pricz; other loving relatives & friends. Rich was preceded in death by his parents, Michael & Anna Berko. My deepest sympathies to the Berko family at this tough time. Rich was one of the best welders I’ve ever seen and a great instructor.